Call for Volunteers - New Opportunities! Do you have experience in finance, professional development, training, or communications? Do you have great ideas for building ACMP’s membership and volunteer programs? If so, we need you! ACMP has new opportunities available in the Finance Committee, Webinar Task Force, Conference, Speaker & White Paper Committees. Please apply by July 31st. ACMP has a new opportunity for volunteers with finance and accounting experience in our Finance Committee. We are committed to good stewardship and finding the right volunteers to help ensure that our resources are preserved to assist in accomplishing our mission. If you are interested, please apply here and send your resume to accounting@acmpglobal.org. In addition, our Webinar Task Force and Conference, Speaker and White Paper Committees are beginning their new year and are looking for dedicated volunteers. If you are interested in any of these opportunities, please apply by July 31st. To learn more and apply to the above and other opportunities, please visit here to apply for your chosen committee. Be a speaker for ACMP and share your ideas with the Change Management community. The Call for Speakers is now open for all ACMP 2017 events, including the Annual Conference (Change Management 2017), Regional Conferences and webinars. Competition is strong for these events, especially the Annual Conference, so be sure your application is well organized and detailed in order to make your application successful. The deadline to apply for Change Management 2017 is August 15, 2016. To begin the application for all speaker opportunities, click here. ACMP is holding its first Regional Conference in Canada, this Fall in Toronto! 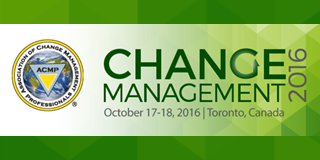 Change Management 2016 – Regional Conference – Canada is a 1.5 day conference taking place October 17 – October 18, 2016. Keynote Speaker, Dr. Liane Davey, will kick off the Conference on Monday afternoon. If you live and work in Canada or just work in Canada, you won’t want to miss this event with specific topics curated and geared toward the Canadian market and needs. View more details on speakers and register today at www.acmpconference.com/canada. 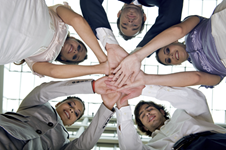 CCMP is Ready – Apply Now and be a Part of Change Management History! 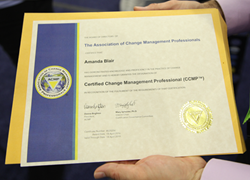 On May 15, the Certified Change Management ProfessionalTM (CCMPTM) became available to the world! At the global conference we announced the first 88 recipients of the CCMP designation. Each had participated in our beta testing program and successfully passed both the application process and final exam. Within a week of launch, 100 people registered and began the CCMP application process. Wow! Are you trying to decide whether to pursue CCMP? Have you started the process but have unanswered questions? Do you need help preparing for the essay questions or exam? Join one of our monthly online sessions to get information and answers about the certification. Get help from the CCMP experts! Apply now and you will have the opportunity to be one of the first people to add the CCMP designation to your name. The first 500 people to earn the CCMP certification will have their name listed on our dedicated web page, becoming part of ACMP and Change Management history forever. For a full update on CCMP, check out the latest newsletter. Looking for Change Management Courses? ACMP’s Qualified Education Provider™ program qualifies change management training and continuing education courses that align to ACMP's Standard for Change Management and adult education best practices. The QEP program is also aligned with the Certified Change Management Professional (CCMP). Qualified courses can be found in the QEP Registry, giving potential students and future CCMP candidates one place to search for the change management courses they need. ACMP would like to welcome our newest fully-affiliated chapters in Ohio (US), New England (US) and Brazil! 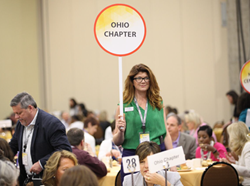 Before becoming affiliated, chapters are approved by ACMP to go through a process of legal formation—congratulations to our newest Potential Chapters whose formation is well underway- Germany, Norway, and Florida (US). Contact information for these potential chapters can be found here. We are also working with members in Russia, Denmark, the United Kingdom, New York (US), Atlanta (US), and Southern California (US) who are starting the formation process. If you are in any of these areas and want to help with chapter formation, contact help@acmpglobal.org. Thank you to all of the ACMP members who are serving our community with their leadership in new chapter formation! ACMP’s annual Change Management conference continues to grow and offer better speakers and solutions each and every year. 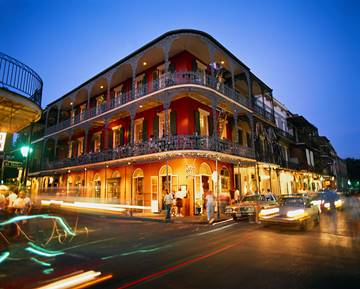 Join us in New Orleans, May 21-24, 2017, for our largest yet. The first 100 registrants for 2017 can take advantage of special Super Early pricing (at a price point that hasn’t changed since 2012!) So don’t wait to register, secure one of those spots today.